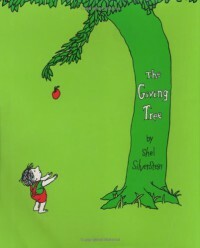 The Giving Tree by Shel Silverstein is a phenomenal classic for every generation! This book teachers such an important lesson that is appropriate for readers of all ages. I enjoy the simple illustrations and language which is great for beginning readers. The story line is easy to follow and interesting. I would use this in the classroom when learning about finding the central message in a text. After a lesson on finding the central message, I would read this book aloud with my class and discuss the central message of this book with the students.